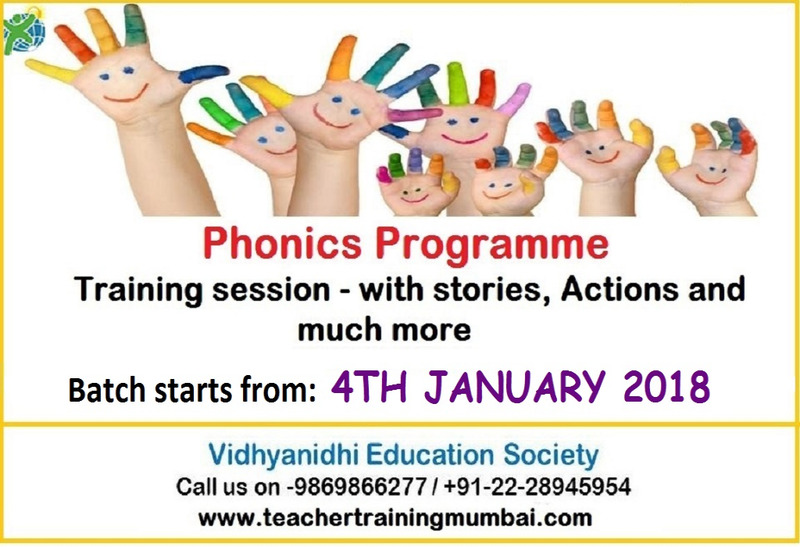 We are offering the ‘Certificate Programme in Phonics Teachers’ Training’ in our institute at Mumbai. Our phonics programme is brilliant and is at par with all our other teacher training programmes in terms of content and quality. The course duration is 23 hours.